Joan was born on July 22, 1922 to Florence and Myron Katten and resided on Steele Road in West Hartford, Conn. She attended Beach Park School and Hall High School, then continued her studies at NYU, where she majored in communications. When World War II broke out, Joan returned to West Hartford and taught at the Hartford Jewish Community Center. In 1944, she took her class to the Barnum & Bailey Circus the day before the tragic circus fire at the Hartford Armory that killed 167 people. Joan was very active with the USO, supporting the airmen coming through Bradley Air Base on their way to the European Theater of Operations. After the war, Joan met Howard Fain, a former captain in the 82nd Airborne Division who had been badly wounded in the Battle of the Bulge. He came to Hartford as part of the United Jewish Appeal fundraising team, through which he met Joan, and within a year and a half they were married. They had two sons, Andrew and Michael. At age 42, Howard developed cancer from the wounds he received during the war and died shortly thereafter. Three years later, Joan was introduced to Edwin Lasner, an industrial realtor in Westport and a former Navy Seabee. He had two sons, Mark and Stephen. A couple of years later, Joan and Ed married and the new family moved into a house in Westport large enough to accommodate the six of them and two dogs. Through the years Joan was active in the Red Cross and was a founding owner of Top Drawer, a women's clothing store that served the Westport community for over 30 years. When Andrew developed Crohn's disease, Joan joined the local chapter of the National Foundation for Ileitis & Colitis (now the Crohn's and Colitis Foundation of America) and soon became chapter president. Under her leadership, the organization grew to incorporate Fairfield and Westchester counties. Joan died on the morning of December 28, 2014 at the age of 92. 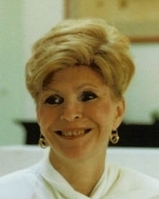 She leaves behind many loving friends and family members including her four sons; her grandchildren Amanda, Sydney and Michael Fain, Jr.; and her brother of 90 years, Gilbert Katten. Joan was an extraordinary woman and will be deeply missed. Memorial services will be held on Sunday, January 11 at 10:30 a.m. at Temple Israel in Westport. A reception will follow at Joan's home. In lieu of flowers, contributions can be made to the Red Cross or to the Crohn's and Colitis Foundation of America.